That indeed is the question. Why olive oil? These are very good chips. 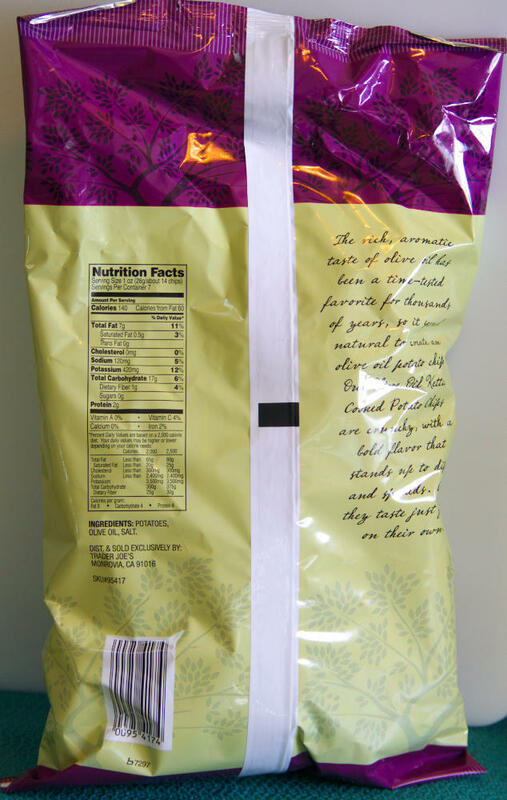 They’re “kettle cooked” chips, meaning they’re a little thicker and curlier than the traditional potato chip. But they’re not too thick as some kettle chips can be for some people. They taste mildly salty. They’re about as good as a potato chips can be. Olive oil is a good thing. It’s great for salads, sauces and pan frying some foods. I actually put a little olive oil in my oatmeal to make it creamier. 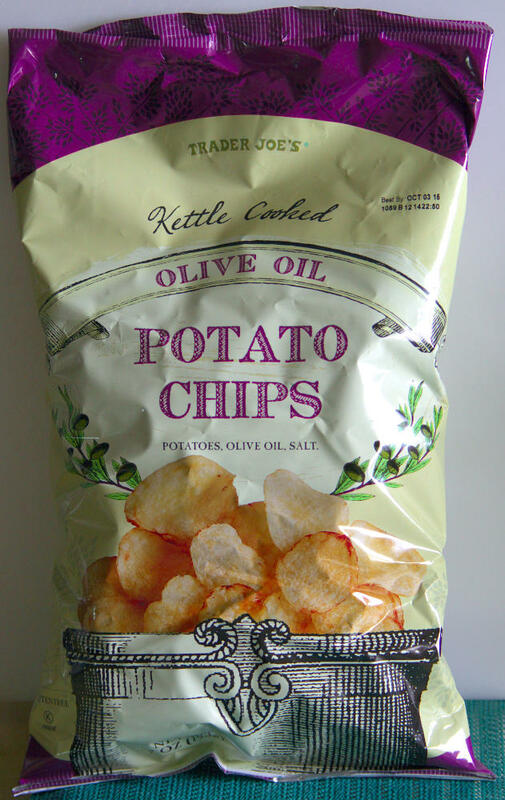 Does olive oil make these potato chips taste better or different than chips cooked in other oils? Not that I can determine. Perhaps you’ll think differently? This entry was posted on 05/28/2015 at 07:14 and is filed under food, Recipes, food, cooking and related items, Trader Joe's. You can follow any responses to this entry through the RSS 2.0 feed. You can leave a response, or trackback from your own site. I think they are trying to make it sound healthier with the olive oil. That’s a very good guess. They are very good. I’ve been nibbling on them while I wrote this. Now my keyboard is very slippery.